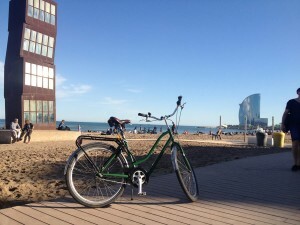 Bikes, Beers, and Beaches |Curing the Hangover in Barcelona! Homestag doBikes, Beers, and Beaches |The 3 Bs of Curing a Hangover in Barcelona! 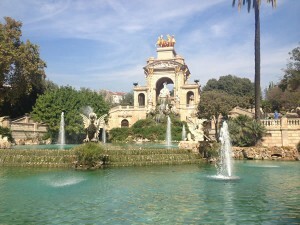 Bikes, Beers, and Beaches |The 3 Bs of Curing a Hangover in Barcelona! Alcohol – the main source of fuel on a stag weekend, is unfortunately, as we all know, a depressant on our bodies. What this means is that with each pint chugged, and each shot downed, your body slowly reduces the speed in which it releases endorphins (happy-hormones), leading to those head pounding hangovers we have all experienced on more than one occasion. Now on a sunny weekend in Barcelona with the lads, lying in bed with a pillow over your ears, crying out to whoever will take pity, is simply NOT an option. Thankfully these unbearable effects can be quickly countered, and soon you will be back on your feet, or at the very least your bar stool! Bike tours are the solution to your problems! Not only do they help rejuvenate you with a little sun and fresh air, but they also allow for a bit of sightseeing; proving to those back home that this pack of hooligans you call friends really do have a cultural side! There are many options for bike tour companies in Barcelona, but Pissup Tours, as you can tell from their name, are experts in “Stag Bike Tours”, and will cater a tour to your group’s unique needs. Barcelona is a very flat city, so don’t worry too much about your fitness level, besides this bit of non-strenuous biking is the first ingredient in your hangover cure! Getting out and about will get the blood flowing, helping to stimulate the release of your backed up endorphins. The fresh air in your face will also help to wake you up, and get that brain firing on all cylinders again. Your tour takes you through the winding roads of the Ciutat Vella (Old City) to the lush, green scenery of the city’s Parc Ciutadella. This sunny park, is one of the most stunning spots in Barcelona, and you’re group will have a blast ripping around its dirt paths, and checking out the incredible scenery. Now for the second ingredient in this Barcelona hangover cure; more booze! It seems counterintuitive, but this hair of the dog treatment has been around for centuries. Originally based on the belief that when bitten by a rabid dog, the only cure was to place that dog’s hair inside of the wound, this colloquial saying has evolved and been adopted by drinkers around the world. It is common knowledge now that a little bit of booze the day after a binge, may not necessarily cure the hangover, but it will certainly alleviate the pain! A beer is exactly what the doctor ordered, and sipping on one in front of the extraordinary “Cascada fountains” will get your body back to about 90% human. Following a drink in the park it is off to one of the most visited attractions in Europe; the still unfinished Sagrada Familia. This mind bending church is the magnum opus of Antoni Gaudi, the most renowned of this city’s long list of famous architects. Started in 1882, this creation is still being built on to, with an estimated completion date of 2026, it truly is the paramount example of what we call “Spanish Time”. Downhill from Gaudi’s masterpiece it is off to the coastal community of Barceloneta. It is here you will discover the third and final ingredient in your hangover remedy; the beach! Driving your bikes along the boardwalk, from the Port Olimpic to the amazing golden sand of Sant Sebastià, will allow you to truly experience what makes Barcelona the greatest city in Spain. The area is littered with many different tapas bars, each serving delicious grub and their own unique sangria recipes. Parking your bikes in the sand will allow you a chance to sample this cuisine, and of course a few litres of delicious local sangria. This is also a great opportunity to go for a dip in the turquoise waters of the Mediterranean. The mix of sun, sea, and sangria, is sure to put you back on track and get your body up to 100%, if not even beyond that! Heading back to the city center to drop off your bikes, you will feel about ten million times better than you did when you started. It is the perfect segue into the evening, and a really amusing way to see this incredible city while healing your wounds. So that is all you need to know to avoid a hangover while celebrating in Barcelona. With a little proactive planning now you can insure your body is in tip-top form, and make the very best of your weekend abroad with the lads!